Our spring whitewater rafting trips run from May 1st to June 30th with tours departing daily from our Meadow Creek, BC office. May is an exciting time on the Lardeau with animals on the move seeking out the lush green spring growth and the Gerrard rainbow trout moving upstream to spawn. The weather is often warm and dry and prior to the snowmelt in the high elevations, the water is still crystal clear. Peak high water occurs in June on this wild and free-flowing river making this a great time for those looking for the wilder side of whitewater on the Lardeau. 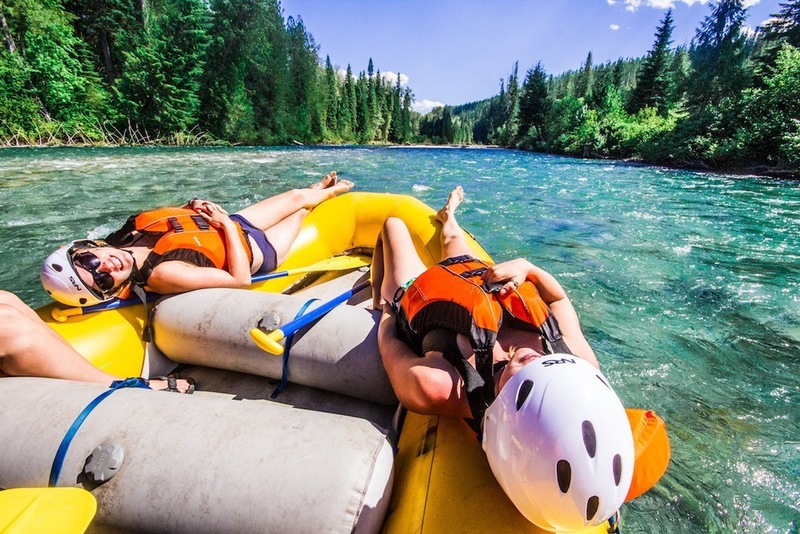 Pre-booking your spring Kootenay whitewater adventure is essential. Our signature Kootenay whitewater adventure and a pure slice of BC backcountry! 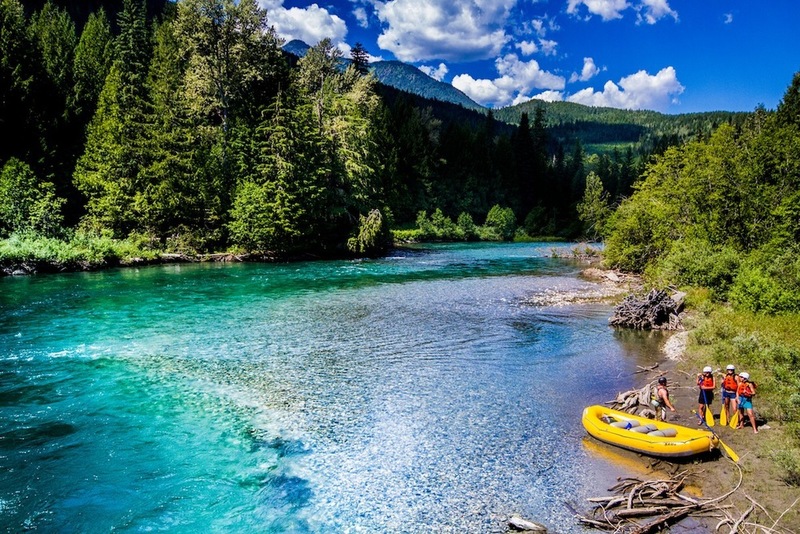 Starting off in the wild and spectacular Goat Range Provincial Park, this raft trip contains dozens of exciting Class 2+ rapids, stunning scenery including plunging waterfalls, abundant wildlife and a delicious riverside picnic lunch crafted with care from fresh local ingredients. 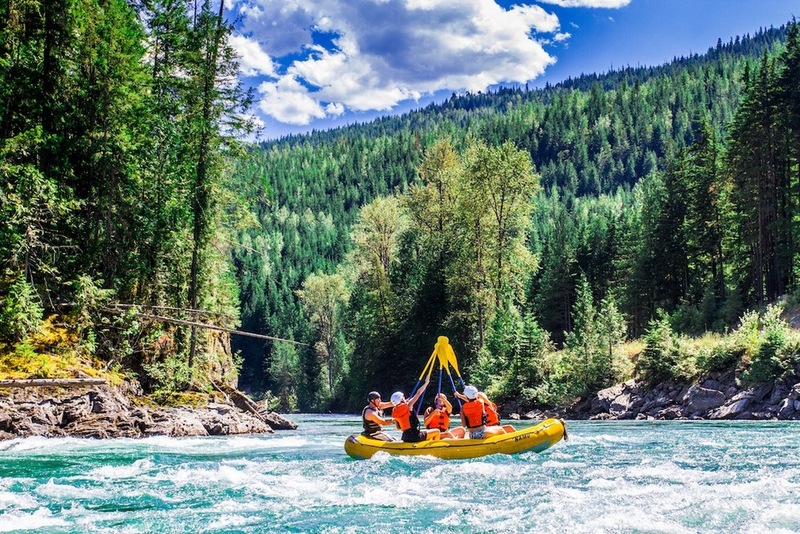 This full day river adventure will appeal to seasoned rafters and first-timers alike. Available by special request, this adventure is perfect for those who prefer a slower pace or are travelling with younger children. This trip includes a delicious picnic lunch prepared with fresh local ingredients. Plentiful Class 1 & 2 rapids and mountain vistas make this four hour rafting adventure appealing to all rafters. All the concentrated goodness of the Upper River Rapid Spectacular in one faster paced rafting adventure! Riverside lunch included. Please note: Minimum group size 4. Not subject to Early Bird Discount. Meet at our Meadow Creek Office for 10.30 am (all other trips scheduled for a 9.30 am arrival). 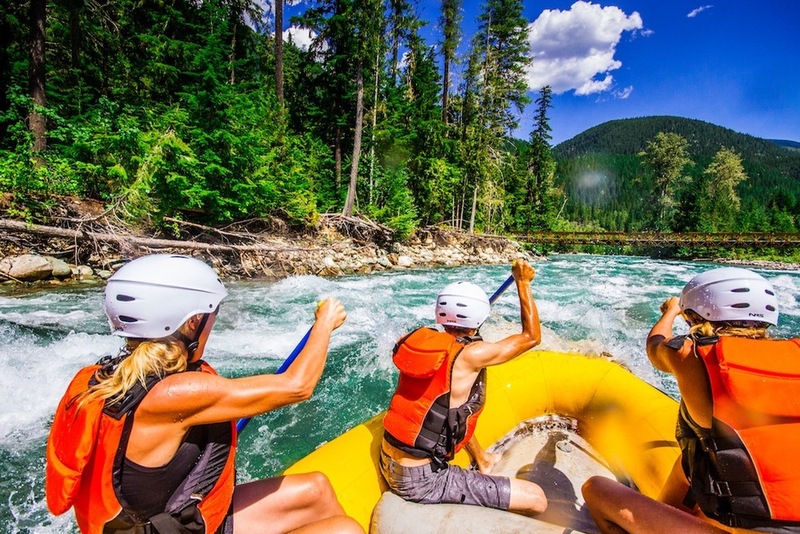 Book your Kootenay whitewater rafting adventure for May or June and mention our Early Bird Rates to receive a 10% discount off your total trip price! View our Summer options here!